Six weeks into the New Year – and following a stellar 2018 – looks like the domestic box office has suddenly stalled. 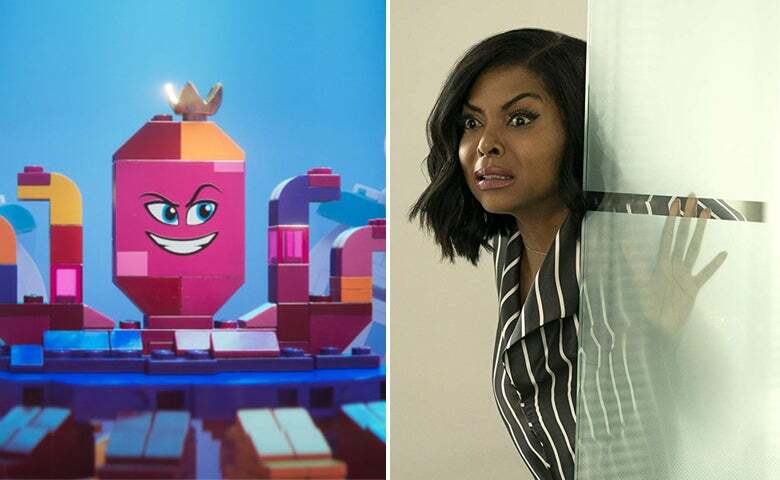 Yes, The Lego Movie 2: The Second Part made it to the top of the charts with $35 million. But when you consider that the original The Lego Movie back in 2014 made almost twice as much, that The Lego Batman Movie three years later generated $53 million and that Warner Brothers was expecting revenues in the range of $50 to $55 million this is not exactly a major victory. Phil Lord and Christopher Miller were back as producers. So were the voices of Chris Pratt, Will Ferrell, Elizabeth Banks, Will Arnett, Charlie Day, with the addition this time around of Tiffany Haddish, Stephanie Beatriz and Maya Rudolph. It did not help, and on top of that, the film struggled overseas where 63 markets generated $18.2 million. What Men Want, based on the Nancy Meyers’ comedy What Women Want, with Taraji P. Henson who finds her power by being able to read the minds of men, came at number 2 with $19 million, followed by Cold Pursuit with $10,8 million: for Liam Neeson, here as a snowplow driver looking for vengeance, the worst showing since Taken helped him to reinvent himself as some kind of vigilante hero. But if we cross the Pacific Ocean and we take a look at China, the New Year festivities gave the local box office a starkly different start. The Wandering Earth, the biggest Chinese sci-fi movie ever produced with a reported budget of $50 million, earned a stunning $304 million in its first six days of release, with $28 million of that coming from IMAX screenings. Numbers that are hard to believe with a U.S. perspective, but this is just the beginning. Over the traditionally lucrative Chinese New Year celebrations fantasy comedy Crazy Alien made $215 million, racing comedy Pegasus added $156 million. New King of Comedy was considered a disappointment with $78 million, not to mention the animation title Boonie Bears: Blast into the Past that – again during the same six-day period – had to deal with revenues of “just” $69 million. As we go down the international charts, the threequel How to Train Your Dragon: The Hidden World generated $38.2 million and its foreign tally is now at $138.7 million. The North American debut is set for February 22. This was also the weekend in which some audiences were finally exposed to James Cameron-produced Alita: Battle Angel. Based on the manga series created by Yukito Kishiro and directed by Robert Rodriguez, Alita had its debut in 10 South East Asia markets and in the UK. It generated a total of $32 million, with Korea, at $11 million, as the bigger draw. Alita will open in the U.S. on Thursday, in advance of the President’s Day weekend. In China, where Cameron is seen as a cult figure, the opening is scheduled for February 22. The Wandering Earth had a limited, and successful release in the U.S., where 65 theaters generated $1.6 million, about $25,000 per theater. Everybody Knows, Asghar Farhadi's thriller filmed in Spanish and starring Javier Bardem and Penelope Cruz, opened in four theaters, generating close to $19,000 per theater.